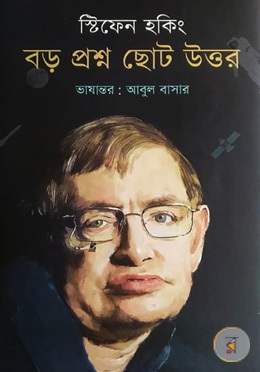 Stephen Hawking(স্টিফেন হকিং) is considered to be one of the greatest living minds existing. Born to an English family on the 300th death anniversary of Galileo, Stephen Hawking has his alma mater in the Oxford and Trinity Hall, Cambridge. After an extensive work in physics and cosmology, in his early age itself he was showing a great potential in becoming one of the leading scientists in the field. When he was 21 he was diagnosed with Amyotrophic Lateral Sclerosis, a progressive motor neuron disease which destroyed the ability of his muscles to move and respond. It deteriorated with time and resulting in losing almost complete capability to move his body, but his brain continued to marvel with his extraordinary theories and thoughts. In 1974 he stunned the scientific community with his thesis on black holes, now famously called as Hawking Radiation. In 1979 he was honored with the Lucasian Professor of Mathematics at Cambridge, which has been the epitome of all the scientific achievements. Even though he had reached a state where he needed a computerized speech synthesizer to articulate his thoughts, he wrote the magnum opus of science, A Brief History of Time which has sold more than 10 million copies. He currently holds the position of Director of Research at the Centre for Theoretical Cosmology within the University of Cambridge. Few of other books authored by him are The Universe in a Nutshell, The Grand Design, My Brief History, The Theory of Everything and The Nature of Space and Time.